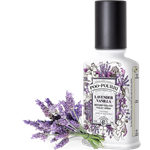 Give your toilette that certain je ne sais quoi. 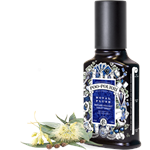 Poo~Pourri Poo La La is a pure blend of peony, rose and citrus natural essential oils that eliminates bathroom odor before it begins by creating a barrier on the water’s surface. Au revoir odeur!